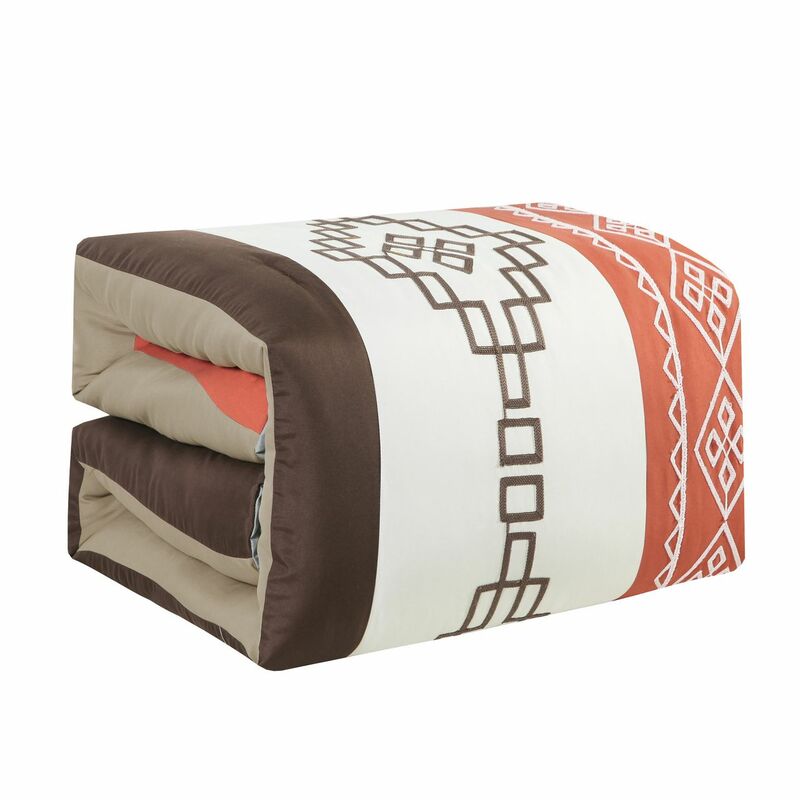 Give your bedroom a bold look with this Lundyn comforter. 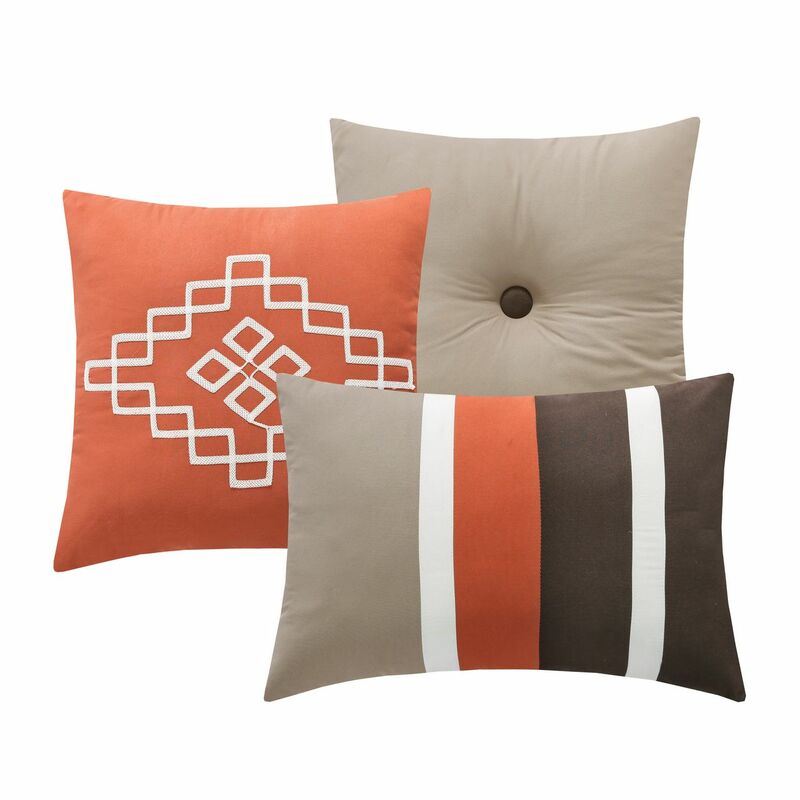 Featuring geometric medallion embroidery on blocks of taupe, orange and gray, this bedding set is a great addition to your modern decor. 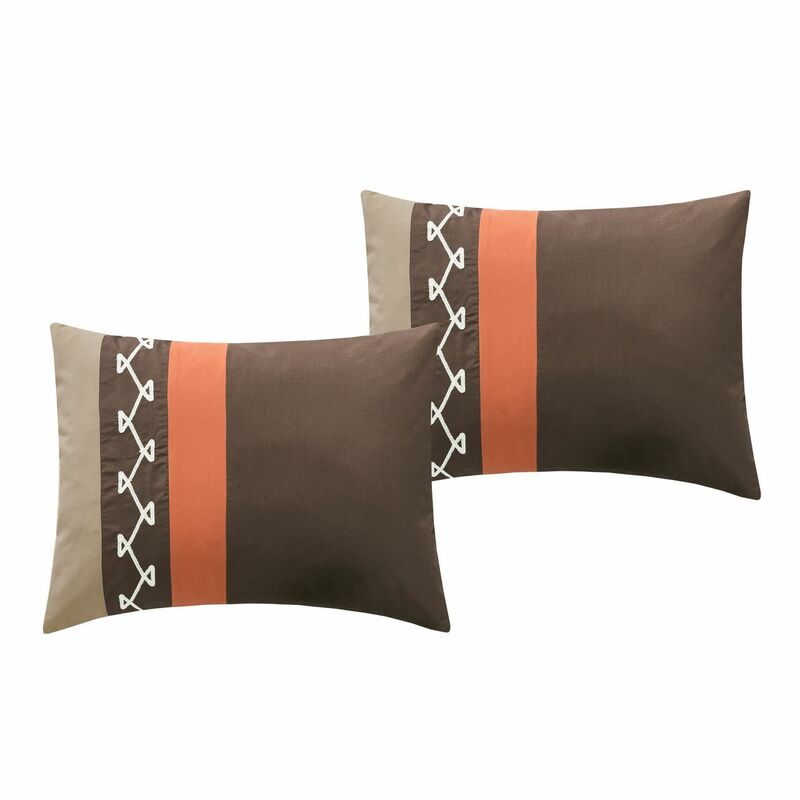 3 decorative pillows complete the bedding collection.